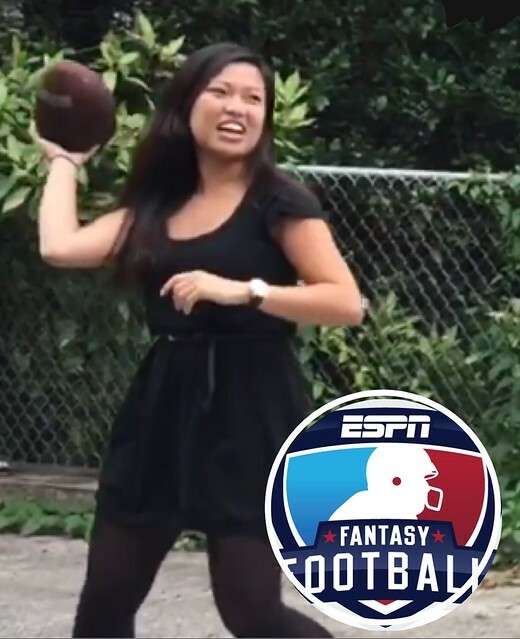 In 2013, Kim Hyunh got so tired of hearing about fantasy football from the guy she was then dating that she joined his league. He was the league commissioner and she went from on to beat him - and perhaps, not coincidentally, break up with him. Now she's a league commissioner herself. Her teammates,all guys, liked her idea of having a rubber ducky race to determine draft order and of having a weekly challenge. And how could they veto the "Kim"missioner? She wishes more girls would play. Watch video here. And in this video she explains how fantasy football works and her current role as commissioner of her own fantasy league, the "Ducking Awesome League." Bryan Kravitz, retired from repairing typewriters for 22 years, recently got back into the business when he heard Edward Snowden say that you can't keep secrets on a computer but you can using a typewriter. 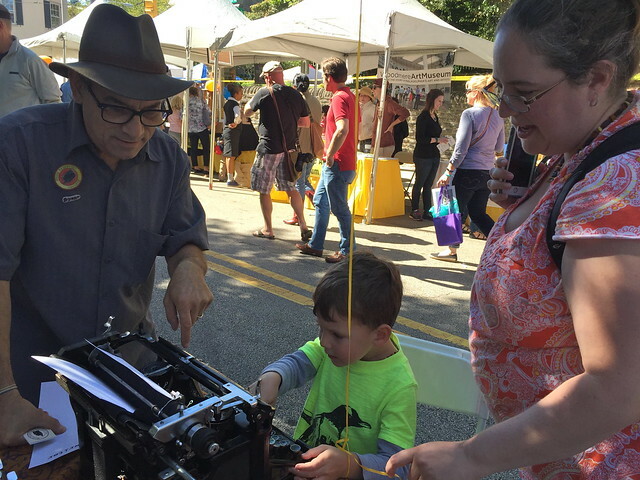 Now he collects and repairs vintage machines like the 1924 Underwood on which he banged out, "Now is the time for all good men..." Kravitz was out at the Chestnut Hill Fall for the Arts Festival with many of his typewriters set up at tables for the public to try. The many children tapping keys and swinging the return handle bore out his point that children like to typewriters. He says kids are naturally drawn to them because of their size, physicality and musicality. Writers are also drawn to typewriters, Kravitz says. A storehouse of typewriter history, he operates under the handle, "Philly Typewriter." Watch video here. 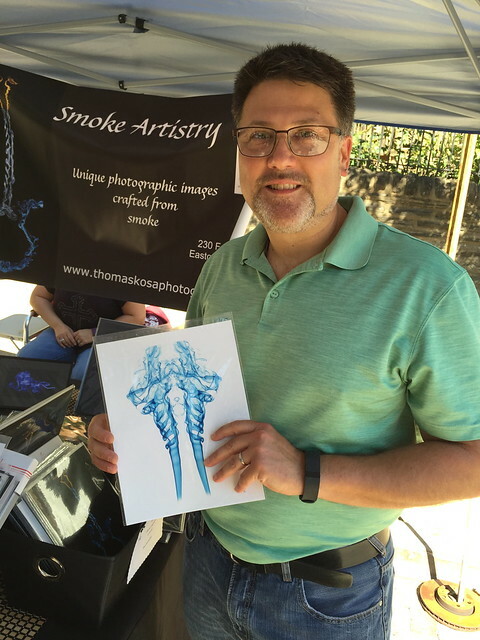 Photographer Thomas Kosa of Easton, PA caputures the delicate, wispy curlings of incense smoke using a Nikon 800 camera and a strobe light to freeze the motion. To color an image he uses theatrical gels and to depict a certain image, say a guitar, he may overlay or mirror multiple images. Watch video here.